My son says plenty of ridiculous stuff, but none is more ridiculous than the stuff he says when he’s trying to get out of going to bed. I know I’m not alone in being both amused and frustrated by the nonsense our kids come up with in attempts to delay their bedtime, especially since Netflix created images based on some of the goofy excuses actual real-life kids have deployed. They even used one of mine! My son will say anything to stay up just five more minutes. 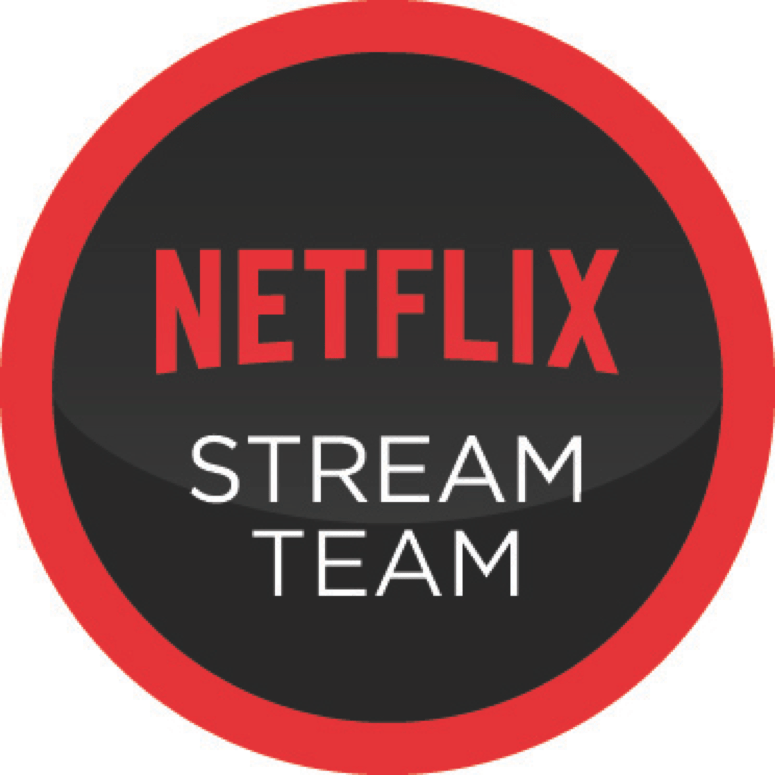 For example, here’s the image Netflix created with one of my son’s best/worst excuses. 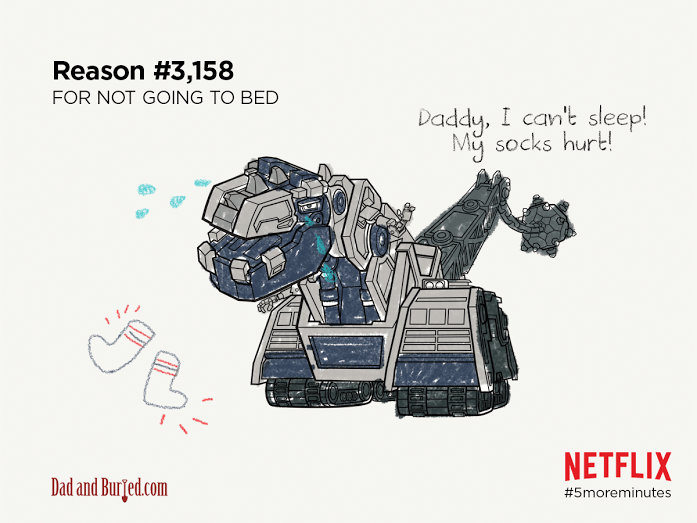 Netflix created that image, based on one of Detective Munch’s idiotic attempts to get out of going to bed, in conjunction with a new series of five-minute Dinotrux episodes they released earlier this month. The episodes are a handy way to appease our little gremlins by giving in to their endless demands for “five more minutes!” while simultaneously ensuring that it’s really, truly, just five more minutes. End-of-the-day TV hasn’t really been in the equation for us, partially because getting him to sit down for anything is an exercise in driving Daddy to drink. And I’m not entirely convinced the gambit will work, because for some reason, my son always seems to become an infuriatingly ill-timed ball of energy just after dinner and right before bed. That said, it’s a pretty good idea. Trying to convince kids to power down and get to sleep is not easy, so if making them feel like they’ve won the battle by allowing them a five-minute episode of TV gets the job done, I’m all for it. There’s typically nothing that gets him to cooperate more than the promise of some television, so I’m going to give it a shot. Plus, he already loves “Dinotrux“, so it shouldn’t be too hard to get him on board.